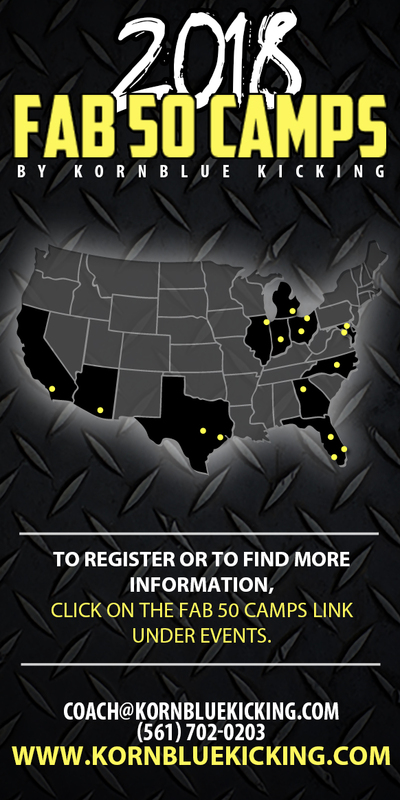 Year-round training for kickers & punters is held in the Orlando area. 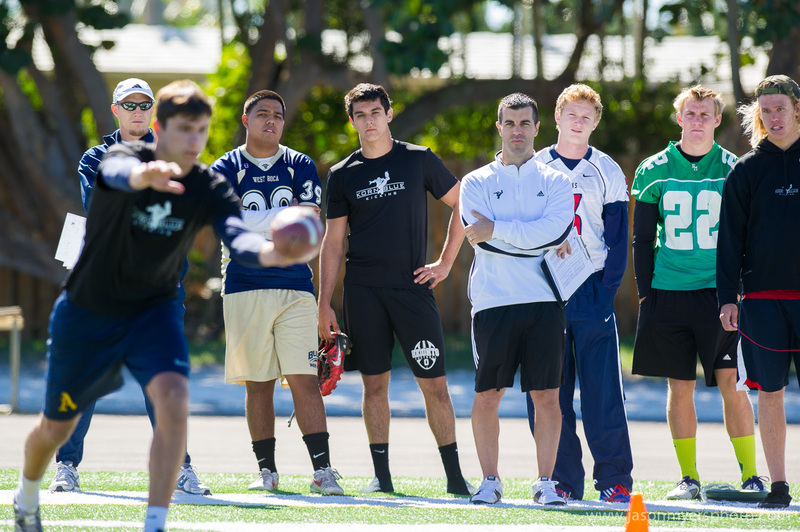 Some of the nation’s best specialists have been trained and developed through our small group training program. Private training is also available in this location. Check the CALENDAR on our website to see exact dates and times. If you do not currently receive our emails, contact us at coach@kornbluekicking.com so we can add you to the database. We send an email reminder a few days before each training session. Includes 2 hours of training: static & dynamic warm-up routines, instruction of physical and mental kicking/punting fundamentals, training with the area’s best kickers and punters, and LOW player-to-coach ratio. Small group training sessions provide the ideal environment for long-term development at the most affordable price. The process of becoming a complete kicker, punter, or long snapper is a marathon, not a sprint. This package is HIGHLY RECOMMENDED to athletes in South or Central Florida! Includes approximately 90 minutes of training: static & dynamic warm-up routines, instruction of physical and mental kicking/punting fundamentals in a personalized setting. Times are flexible. Currently applicable to Florida locations only. Includes approximately 2 ½ hours of training: static & dynamic warm-up routines, instruction of physical and mental kicking/punting fundamentals in a personalized setting. Session is filmed and reviewed on-site with frame by frame video analysis. Times are flexible. Currently applicable to Florida locations only. Includes approximately 5 hours of training: static & dynamic warm-up routines, instruction of physical and mental kicking/punting fundamentals in a personalized setting. Typical schedule: 1) morning field session; 2) lunch/video analysis; 3) afternoon field session. Times are flexible. Currently applicable to Florida locations only.